Kidz Galore Boot Camp Party Venue is a necessity for any child living in the city. Our parties are so much fun, that the kidz remember it for many years to come. Our slots do go very quickly, so do book your Boot Camp Party in advance! 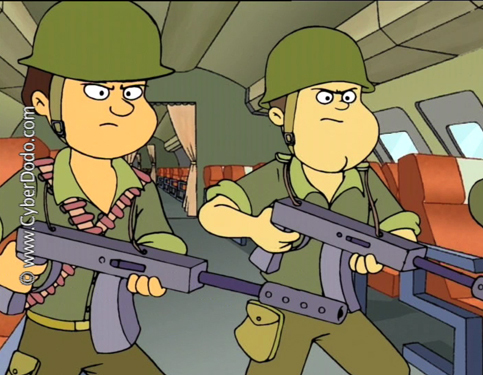 Yes Corporal, No Corporal, Say Again Corporal! 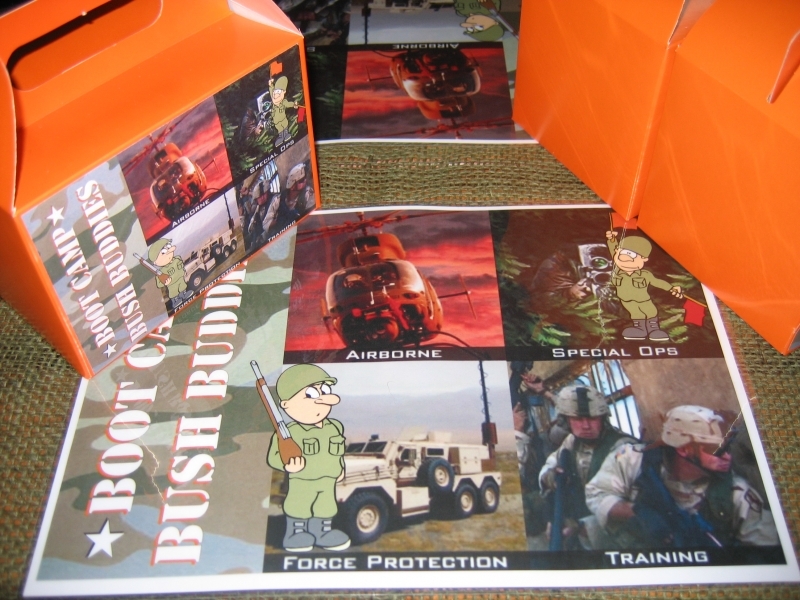 Kidz Galore Bootcamp Bush Buddies is an Outdoor Activity Party Venue that offers unique kid's parties creating excitement and enthusiasm with children by imitating a military - or BOOTCAMP - theme. Bootcamp Bush Buddies offers fun-filled parties with an obstacle course including horizontal and vertical commando nets, tyre running, walk the rope, monkey bars, kettie shooting, tug-o-war, water balloons, the famous "OTTER GAT" and lots more! Our obstacle course is suitable for both boys and girls from the ages of 5 years and older. The Bootcamp venue consists of a large army tent for all the guests and our famous PARTY TROOPS! Our tent is equipped with benches for the troopers, catering tables, chairs for your guests, urn and microwave. TROOPERS receive a themed army box filled with plenty of sweet stuff! Tables are skillfully decorated to complement the army theme. For the parents we provide tables with linen and army overlays, chairs, cutlery and crockery for coffee and tea, all decorated before your and birthday troopers arrive.